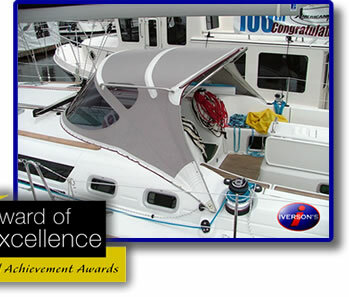 Read the Press Release on this Award Winning Canvas Dodger. 1. 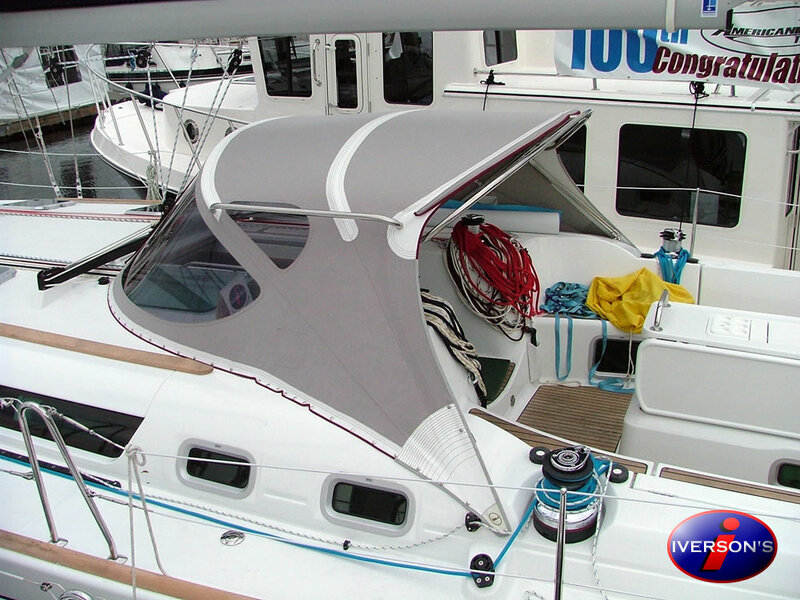 Extra large canvas dodger on Jeanneau 49 sailboat. 2. 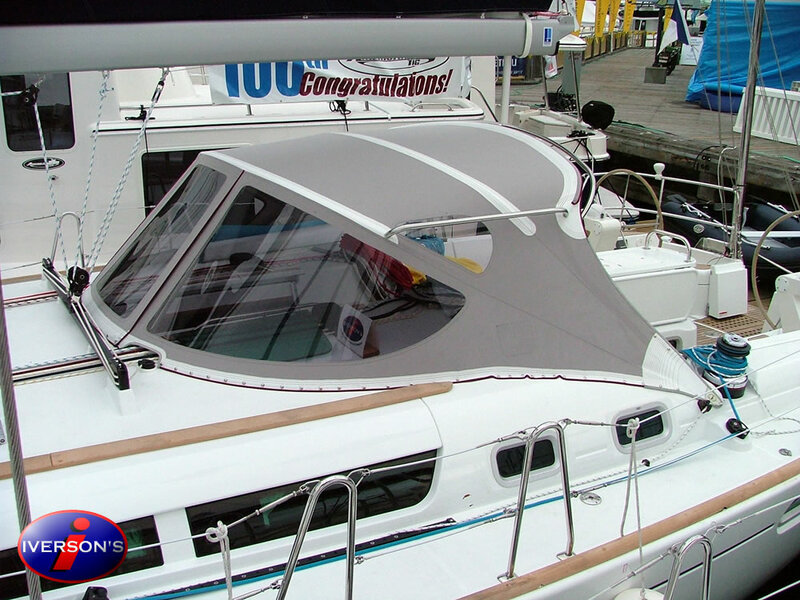 The purpose of this extra large dodger was to provide the client and his family some protection from the elements on their 2-year sailing voyage out to sea. 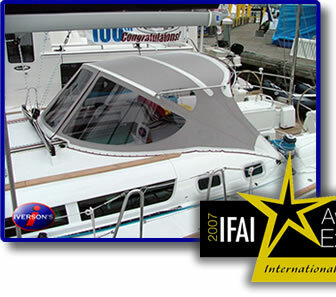 The client’s request was to extend the dodger aft as far as possible to provide ample protection while maintaining structural integrity and safety. 4. The results of the project were successful. The dodger was extended aft as far as possible through the use of a third bow. The structural integrity was accomplished with the use of 1-1/4" diameter stainless steel tubing and the addition of rigid compression struts for and aft. Safety was achieved with the additional welded on back grab rail and side grab rail systems. The placement of the grab rails were ergonomic, allowing the ease of a natural grab response when moving about the cockpit during high seas.